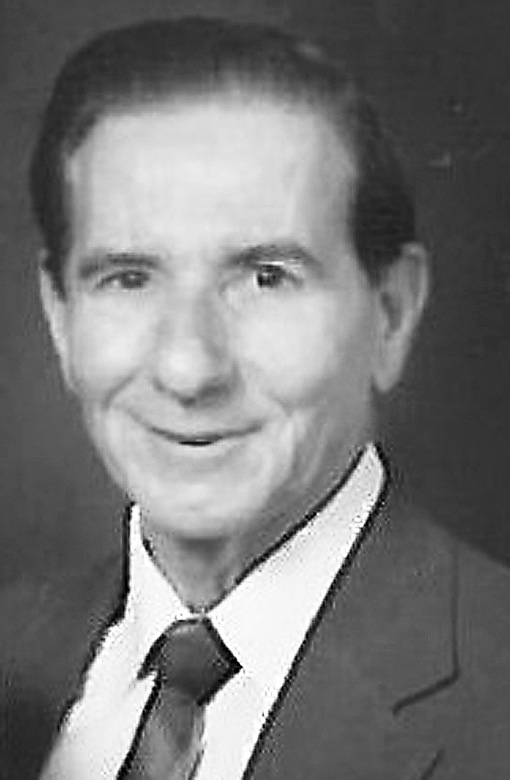 Leon Edward Delaney, 96, of Weirton, WV, died Friday, August 31, 2018, at Acuity Specialty Hospital in Weirton. Born on October 23, 1921, in Saint Leo, WV, Leon was a son of the late Larney Delaney and Arley Clovis Delaney Bissett. He was also preceded in death by his wife, Helen K. McGlumphy Delaney on May 5, 2000; his son, Larry Delaney; a brother, Paul S. Delaney; and a sister, Jean Cummins. In his early childhood, Leon lost his father to a sawmill accident, and went to live with his grandparents. He graduated from the last class of Wadestown High School, which is now part of the consolidation of Clay Battelle High School. On November 6, 1942, Leon entered into active service with the United States Army. A Staff Sergeant and Squad Leader of Company B, 12th Infantry, 8th Division, Leon fought in the Battles of Normandy, Northern France, and Rhineland. He was wounded in action taking on gun shot wounds on August 26, 1944 in France, November 27, 1944 and April of 1945 in Germany. He earned the EAME Theatre Ribbon with three Battle Stars, Good Conduct Medal, Purple Heart with two Oak Leaf Clusters, Bronze Star Medal, American Theatre Medal and a World War II Victory Medal. He retired from National Steel Weirton Steel Division after 35 years of service as a crane operator. Prior to his hip replacement he enjoyed hunting deer and squirrel in Hundred, WV; fishing in the mountains of Canaan Valley, bowling with the Moose Lodge 688, and golfing. He also loved watching sports on TV. His favorites were the Steelers, WVU, and the Pittsburgh Pirates. He often would plan his days around watching the Pirates, never missing a game. Leon was member of the American Legion Post 10, Moose 688, Weirton Steel 25-Year Club, and a Life Member of the VFW 2716. He will be remembered with love by his son, Charles R. “Butch” Delaney, and his wife Rosemarie; his four grandchildren, Larry Delaney (Sue), Shawn Delaney (Lisa), Charles Delaney Jr., Sherry Bodrog (Jeff); three great- grandchildren, Shawn Lee Delaney (Kylie), Ryan and Sarah Bodrog; two great- great-grandchildren, Addison and Jayden Delaney; and two sisters, Mary Ellen Bell and Martha Prince. Visitation will be 9 a.m. until time of funeral services at 11 a.m. Monday at the Greco Hertnick Funeral Home, 3219 Main St., Weirton, WV. He will be laid to rest immediately following at Chapel Hill Memorial Gardens, with military honors conducted by the West Virginia National Guard and the American Legion Honor Guard and Firing Squad.